Let's show them a HUGE OREGON WELCOME!!! Party, Performance, Workshops, and More! Kick it all off FRIDAY FEBRUARY 28TH in EUGENE! You won't want to miss their first event ever in Oregon! Yanek and Karelia bring this brilliant partner dance to us from Cuba. Experience the evolution of Son as it is danced in the streets of Santiago today. This hour long class will progress from basics to a focus on intermediate technique. Learn Cuban Casino Partnering from the masters. Join us for this rare opportunity to learn from the best. Yanek and Karelia﻿, world renown for their fabulous Cuban Casino dancing, offer clear, effective, fun and exciting instruction. 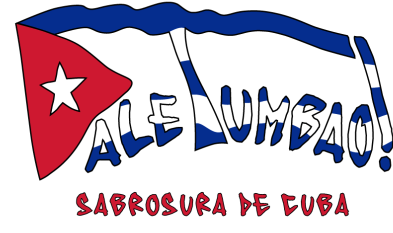 At long last we will dance and learn rueda as it is done in Santiago de Cuba. Join this fun class to see where the masters take the wheel. Coming from out of town? Let us know and we'll help find a host for you! Yanek's desire to promote Cuban salsa and other Afro-Cuban dances is not to teach just the technical aspects of the dance, but to convey the feeling of dancing Cuban salsa in all its glory. Many dancers enjoy the challenge of the complex dance moves that Cuban salsa has to offer, but they often forget to really enjoy the freedom of the dance and the partner interaction that this style allows. Yanek Revilla Romero was born in Santiago de Cuba where he began his dance career with the Lights of America Company in 1998. He also worked as a salsa instructor in the House of Culture in Santiago de Cuba. In 2002, Yanek began working as a director, dancer and choreographer in the dance company Casino.Com . The group won numerous awards in Cuba, and Yanek was invited to perform and teach in many countries. Today, Salseros DKY is the newest dance group directed by Yanek whose members are the next generation of the best Cuban dancers. In 2004, Yanek won the world salsa championship in Italy. He also won numerous awards in the competition “Bailar Casino,” sponsored by Cuban national television, in the categories of Best Cuban Casino Dancer and Best Rueda de Casino Group. The following year, he won the same television competition for best performance of Cuban Rueda de Casino. After many consecutive wins, he stepped away from the competitive side in order to become a member of the jury. He has taught workshops and performed in all of the major European salsa festivals while maintaining a home base in Cuba, the place that inspires him to create new Cuban salsa movements and choreographies. Yanek has said that in order to continue innovating within Cuban salsa, he had no choice but to stay in Cuba. It’s not because he couldn’t dance or even improve Cuban salsa while living abroad, but that the atmosphere and culture in Cuba inspires him to develop something even better. Furthermore, Cuban salsa is predominantly danced in a couple, and the exceptional skills of his dance partner, Karelia, allow him to invent any new combination imaginable.